The importance of mental health and well-being in children is being increasingly recognised. As a former teacher and having completed an MSc in psychology, I founded Mind Moose with the goal of teaching one million children around the world more about their brains and the simple ways in which we can all keep our minds healthy. Children with high levels of well-being are happier, have stronger relationships, are more able to deal with life’s ups and downs and achieve more highly at school. So happier children = more learning! 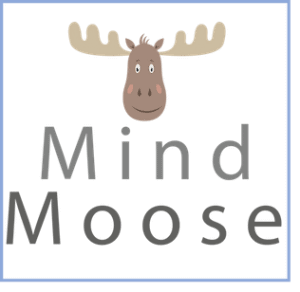 Mind Moose is a fun, digital platform that teaches children how to keep their minds healthy. We teach children how to keep their bodies healthy, so why not their minds? Children go on a journey of discovery with Mind Moose and his friends as they learn how to look after their minds, keep their brains healthy, deal with emotions, develop resilience and flourish. The fun, interactive animations and activities are underpinned by theory and tools from the field of positive psychology. Children learn to understand their own strengths and how they can use them to lead a happy, fulfilling life appreciate how their brain works and what they can do to make it work most effectively, navigate problems they may encounter effectively and manage modern childhood worries, including friendship and relationship issues. In turn these key life skills help them develop and maintain healthy self-esteem and body image. Conversations between peers and supportive adults are encouraged by the inclusion of collaborative ‘moose missions’ for children to complete. Children earn badges and gain certificates along the way and parents are teachers are provided with their own moose manual which includes background explanation and suggestions for further exploration.